Jordan Brand keeps the commemorative releases coming, with its upcoming nod to one of the most memorable moments in NBA history. By now you all know about the shot MJ hit in game 6 of the 1998 NBA Finals against the Utah Jazz that propelled his Bulls to another championship victory. Jordan did so while wearing a Chicago color schemed Air Jordan 14 that was dressed primarily in black with red accents. 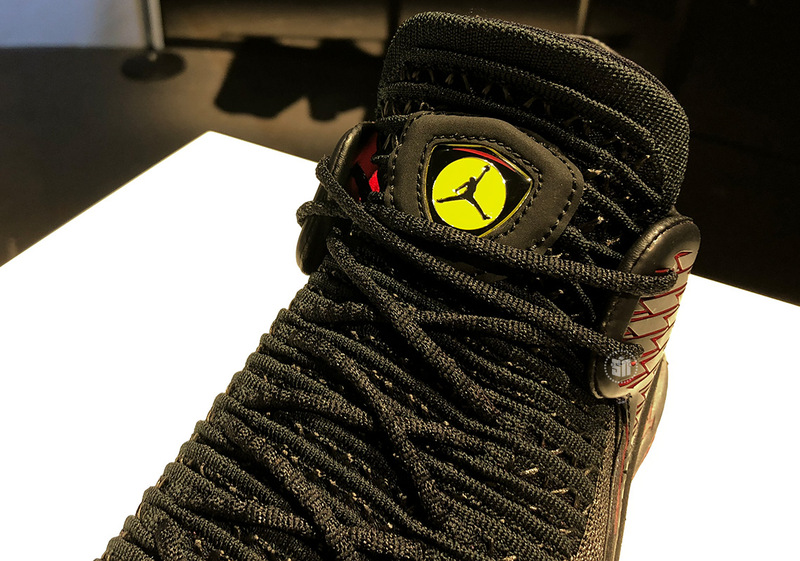 To further that homage, the Jumpman is taking the signature midfoot decal of the 14 and putting it on the tongue of the Air Jordan 32 Low, that you can see here in yellow. Keeping that honorary trend going, is a date on the inside of that tongue that pays tribute to that date the bulls won their sixth ring. Fans of this remixed “Last Shot” Air Jordan 32 Low will be able to pick up their pair from select retailers on June 9th. In the meantime, check out this detailed look below and peep what the brand has in store for the Air Jordan 3 this year.